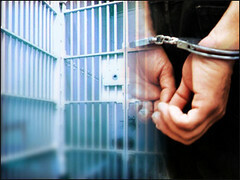 With more than 2.3 million people behind bars at the start of 2008, the United States leads the world in both the number and the percentage of residents it incarcerates, leaving even far more populous China a distant second, noted the report by the nonpartisan Pew Center on the States. More than one in 100 adults Americans is in jail or prison, an all-time high that is costing state governments nearly $50 billion a year, in addition to more than $5 billion spent by the federal government, according to a report released today. The New York Times has an article today on communities that feed off the prisons within them. When America, prison nation, closes one of them, it can threaten the very existence of such towns. As rural economies across the country crumbled in the 1980s and the population of prison inmates swelled, largely because of tougher drug laws, states pushed prison construction as an economic escape route of sorts. Throughout the 1960s and ’70s, an average of four prisons were built each year in rural America; the rate quadrupled in the 1980s and reached 24 a year in the 1990s, according to the federal Agriculture Department’s economic research service. The boom, experts say, provided employment, but it also fostered a cycle of dependency. Count me among those with no sympathy. America's over-incarceration policies mean corporations make billions and the federal government throws millions to these communities in subsidies.